The “CARLOS PELLEGRINO INTERNATIONAL AWARD” is a competition for students of landscape architecture who want to present a project of landscape requalification of the “Benito Solari Park" in the City of Salto (Uruguay). The award is organized in memory of Carlos Pellegrino (1944-2015), a versatile and deep man, a "holistic" agricultural engineer and landscape architect, a writer, art critic, poet and musician. An enlightened man, promoter of the creation of the “Unión Latinoamericana por el Paisaje” (ULAP) and inspirer of a united Latin America for the landscape. 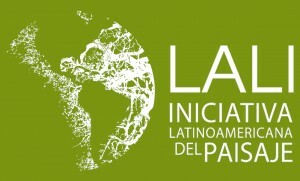 His legacy is present in the “Iniciativa Latinoamericana del Paisaje” (LALI) and in the Master in Landscape Architecture of the University of Montevideo. Benito Solari Park occupies a land with undulated topography of 166,000 square meters in the city of Salto, north of Uruguay. The park is located in the northern part of the city and is crossed by a tributary of the Sauzal stream. For its genesis, the public park is equipped with roads, pergolas, fountains, dams, drainage, stone buildings and landmarks built with great value and with a collection of remarkable plant species, many of them in their maturity. Socially, it was a meeting point for the inhabitants of the city and today is a reserve of collective memory. More recently, the "Spanish garden of discovery" was built by Leandro Silva Delgado. More information about the history of the Park and the boundaries of the project area are included in the documentation attached to this call. The projects presented will have as objective the recovery and valorization of the Park, and should indicate the actions to restore and protect it in the future. The Park is a privileged place, of high symbolic value for the local community and of notable landscape values. Its topographic conditions generate different areas that allow different uses at different times. The lack of a management plan that includes a valued inventory of the goods (natural, artificial) endangers its values and the services that a Park like this can and should provide to society. Part of the park is or was occupied by a depository where machines for earthworks were deposited. The limits in some sections are not clearly defined and the water course that crosses is contaminated. The recovery, valorization and management of parks of this type in the country and in the world represents a challenge. How to stop the deterioration, restore and preserve the most valuable aspects and how to adapt the park to the contemporary uses that society demands is a challenge for the current landscape architecture. In this sense, the present contest aims to generate ideas capable of modifying this reality. Valuable parks, generated in another era, which show with a lot of signs the passage of time, are assets of society underutilized or in danger of extinction due to lack of awareness of the value they generate or can generate. The relevance of the pre-existences determines that the project must be based on the nature of the landscape. The proposed projects judged worthy could be developed in the plans and projects of the Intendencia de Salto. This competition is open to international students (undergraduate, graduate and Ph.D.) and recent graduate of Landscape Architecture or related degrees, individually or in teams made up of a maximum of four (4) members. Recent graduate means that person graduated not before June 1, 2018. Each participant can only present one proposal, whether as an individual or part of a team. This competition is closed to any person who participated in the organization of the competition. Each participating team will submit a single poster, ISO A1 (594 × 841 mm) format in vertical disposition, where the ideas of the project take shape. All texts on the proposal must be in English. Each poster must have in the upper right corner the PIC (Proposal Identification Code) generated and assigned during the registration process on the website. Any proposal that does not have a visible PIC or present any other element of identification will not be evaluated by the Jury. All the information sent out of the single ISO A1 poster will not be evaluated by the Jury. The proposal must be submitted in .PDF file in a vertical ISO A1 format (594 × 841 mm) with a maximum size of about 24 Mb. The file must be uploaded through the website before the deadline of the competition shown on these Terms & Conditions. The deadline for submission of proposals is August 31, 2018, 23:59 hrs (UTC+1.00 – Rome time). As it is an international competition, it is necessary to consider the time zone from which the participant comes. The proposals uploaded after the deadline will not be evaluated by the Jury. During the period indicated in the competition, questions about this competition can be sent to carlosaward@gmail.com. Questions can be done in English or Spanish. The organization will respond to all of the questions and will publish (in the FAQ section of the website) answers to questions deemed to be of particular interest to all participants in order to improve the comprehension of the project and resolve doubts. All the documentation needed to take part in the competition can be downloaded from the documents page. The jury is composed by one representative of each award organizers. the ability to clearly express the project concept. The jury reserves the right to award special mention to other deserving projects. 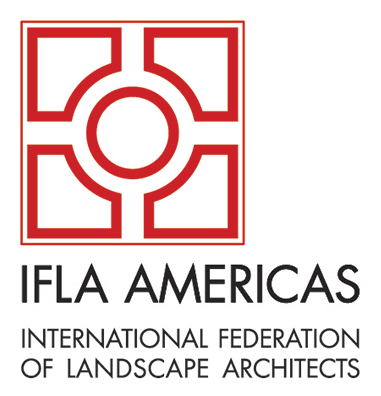 The prizes will be given to the winners during the IFLA - Americas Regional Congress that will be held in Mexico City (Mexico), 25-28 September 2018.
in case, at the Intendencia Municipal de Salto. The participants to the competition concede all rights of dissemination of the presented work to the organizers, who guarantee the adequate evidence of the authors. By registering for the competition, participants accept that they will comply with all Terms & Conditions.